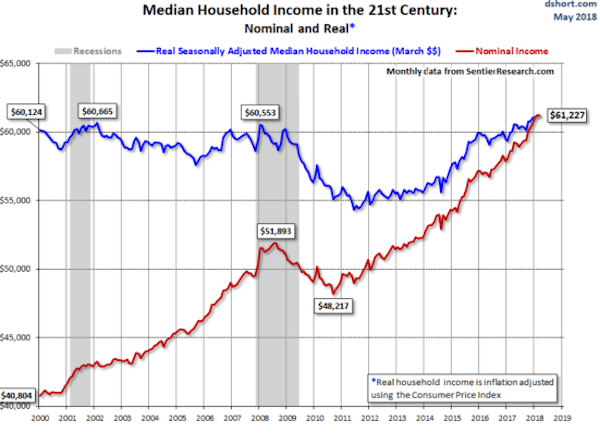 The chart below shows real (inflation-adjusted) and nominal (or current dollar) median household income over this century. 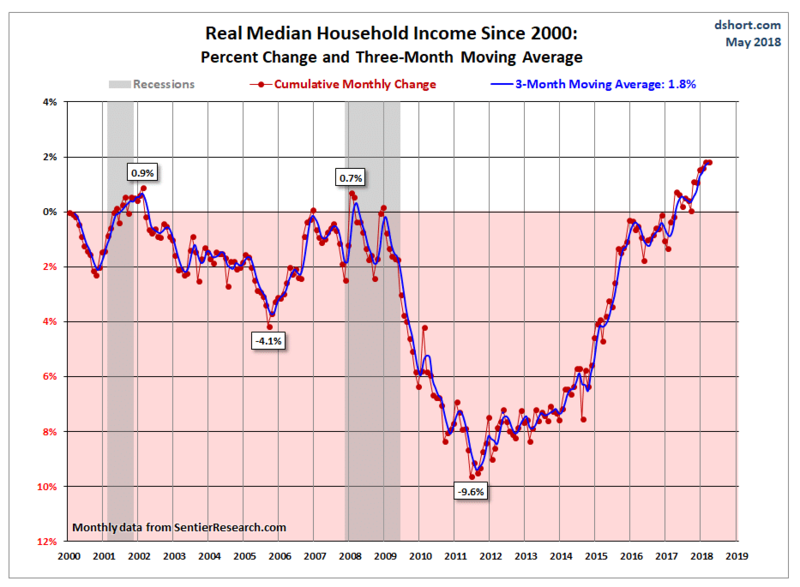 As we can see, the fall in real median household income over most of the first eight years was nothing compared to the hit median household income took over the next 8 years. This record is even more appalling when one considers that the U.S. was officially in an economic expansion from November 2001 to December 2007, and then again from June 2009 to the present. Federal Reserve officials are beginning to worry about a possibility that seems remote to workers who still feel left behind: the danger of the economy’s running too hot, destabilizing financial markets and setting off a rapid escalation in wages and prices that could force the central bank to slam the brakes on growth. Translated, this means that if labor costs rise enough to eat into corporate profits, Federal Reserve officials will respond with interest rate hikes to slow down economic activity and weaken labor’s bargaining power. And so goes the new century.